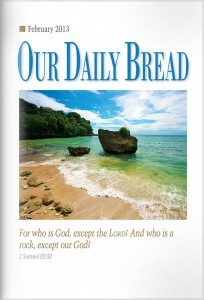 The Lord used Our Daily Bread Ministries to prepare my heart for Him years before I surrendered my life to Jesus. I still use these free daily encouragement devotionals to nurture my spiritual growth and help me stay on track with my daily Bible reading. In April 2016, I was invited to serve through Our Daily Bread Ministries. God has been using my small offerings to minister to readers. He’s using many of their stories to inspire and minister to me, too. Giving back to the writing community is one way I enjoy expressing gratitude to God for all He’s given me. I share weekly prayers and encouragement for Christian writers on my Facebook Ministry page, Write to Worship with Xochitl E. Dixon. I also have the privilege of serving as the social media/graphics and blog assistant for the Mount Hermon Christian Writers Conference and the Prayer Team Coordinator at the SoCal Christian Writers’ Conference. I get to share the following 2018 workshops with conference attendees: Sharing Your Faith through Flash Fiction, The Ministry of Magazine Writing, and Devotional Writing: From Idea to Submission. I’d love to share what I’ve learned with other writers. 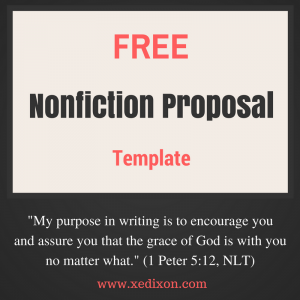 After reviewing samples shared by several of my writing friends and studying books on writing proposals, I created a template that worked best for me. Feel free to use this template as is, or change it to suit your needs. May God bless your writing journey, as you grow closer to Him and share your gifts for His glory. Investing in a writing coach and mentor is a wise choice, although it may not be right for everyone. The Lord led me to my writing mentor in 2010. 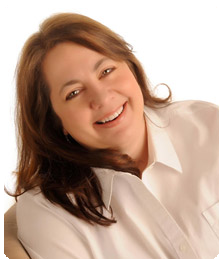 Sandra Byrd is an award-winning author who serves as a writing coach, as well. To inquire about her services, contact her through her website. Her prayers, training, ongoing encouragement, and wise counsel have been invaluable to my growth as a writer and a disciple of Christ. We can find great support through a healthy and holy writing community. The Christian writing community thrives online! A few of my favorite writing blogs are hosted by Books & Such Literary Agency, The Steve Laube Literary Agency, and Jerry Jenkin’s blog. Jerry Jenkins offers many top quality, free resources for writers. Steve Laube equips and encourages writers through the Christian Writers Institute, offering affordable and easily accessible online training with reputable industry professionals. The Mount Hermon Christian Writers blog also offers great tips for writers preparing for their conference. It’s also wise to find at least one writer you can work with that understands your genre and can commit to a writing schedule that works for both of you. This photo was taken at the 2016 Mount Hermon Conference. My amazing writing and prayer partner, Colleen Shine Phillips, has been serving as a missionary in Chile for over 40 years through the ministry of Christian World Mission. Her work has been published through Focus on the Family’s Clubhouse Jr., Clubhouse, and on her blog. SoCal Christian Writers’ Conference in Southern California. Mount Hermon Christian Writers’ Conference in Mount Hermon, California. 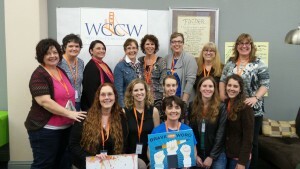 West Coast Christian Writers’ Conference in the Bay Area, California. 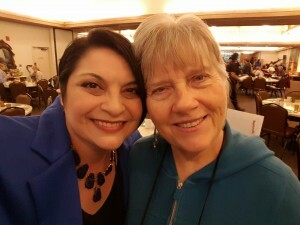 Oregon Christian Fiction Writers’ Conference in Portland, Oregon. I have a heart for encouraging teens in growing their personal relationship with Jesus and honing their craft as young writers. I’m available to teach writing workshops to middle school and high school students interested in writing devotions, nonfiction articles, or short stories for the Christian market. One of my favorite resources for teens is Go Teen Writers, led by authors Stephanie Morrill, Jill Williamson, Shannon Dittemore. There are also great training opportunities for teens through the Mount Hermon Teen Track. Some magazines are open to submissions from teen writers, too. ENCOUNTER – The Magazine and Devo ‘Zine have allowed me to serve the Lord through my writing by publishing my work, and are also accepting submissions from teens. Start submitting your work today! God did not create us to walk by faith alone. And writing for His glory doesn’t have to be an isolated endeavor, either. Christian writers are more successful when we are intentional about developing deep relationships with God and others, especially other writers. We’re not in competition with one another. There’s no need for comparison or jealousy, because the Lord created each of us with unique voices and stories only we can share. We are meant to add value to the body of Christ and can learn from one another, as we offer prayer, support, and encouragement as we recommend resources and share what God has taught us through our own writing journey. May our loving Father bless you with courage, wisdom, discernment, humility, and persevering faith, as you enjoy becoming an important part of a healthy and holy writing community. I look forward to growing with you and am thankful for your partnership in sharing the Gospel of Christ through the written words He places on our hearts.